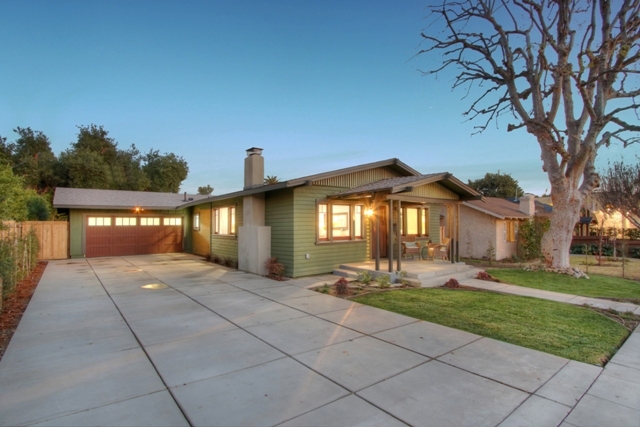 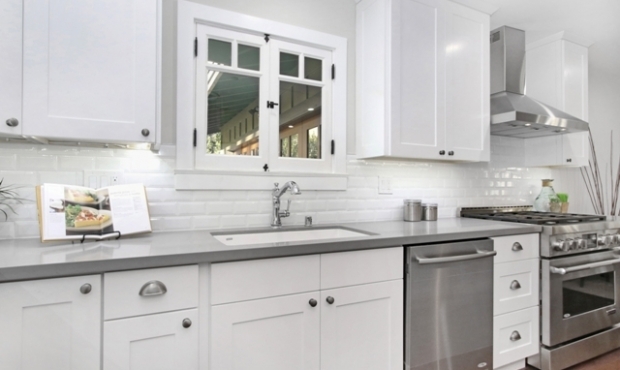 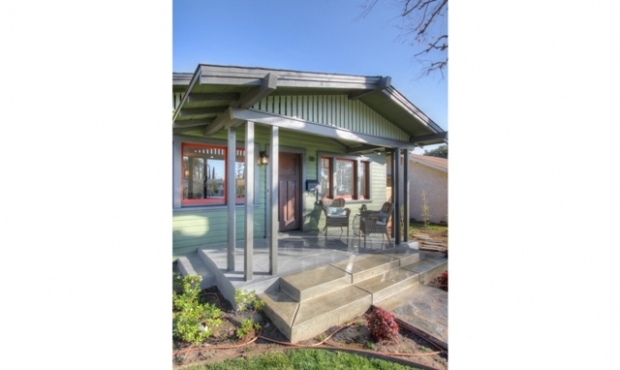 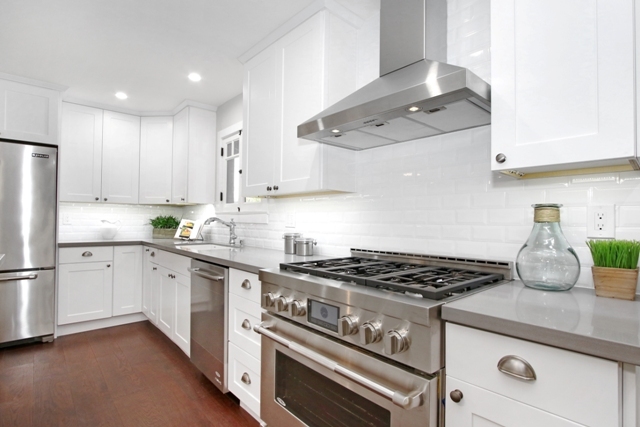 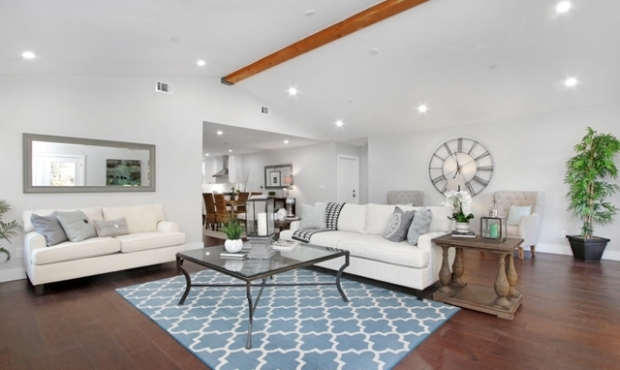 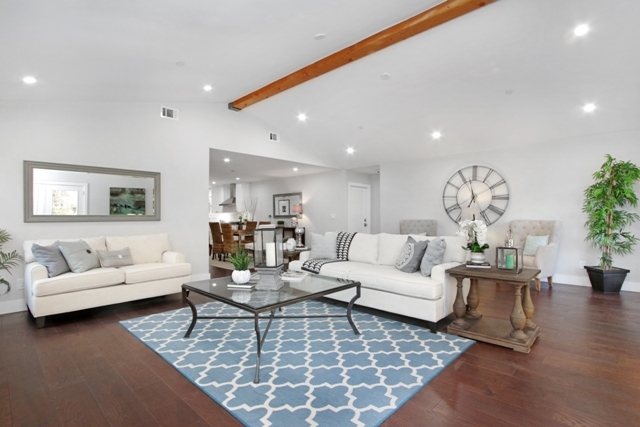 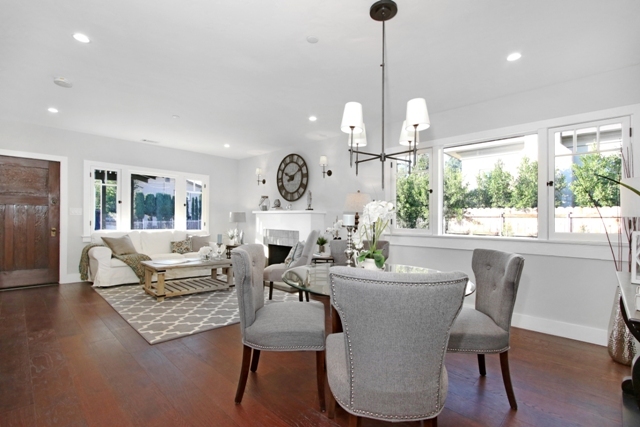 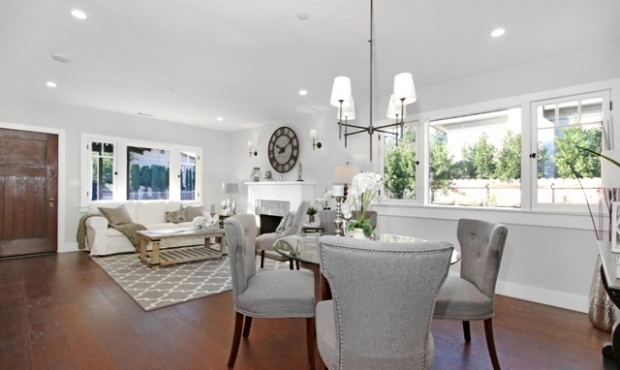 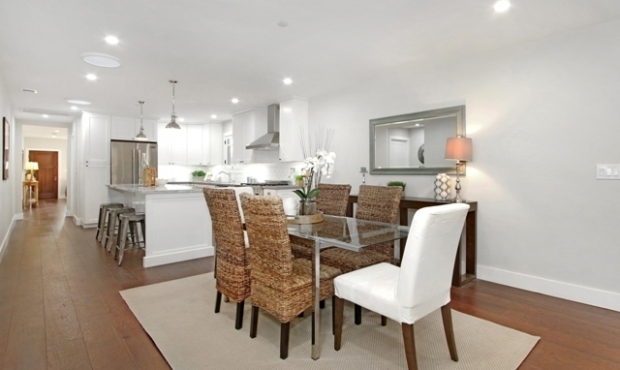 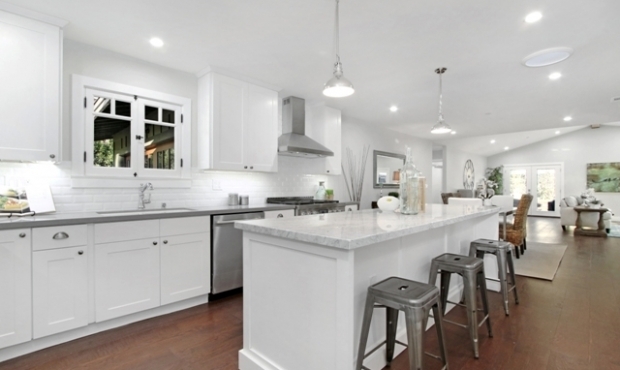 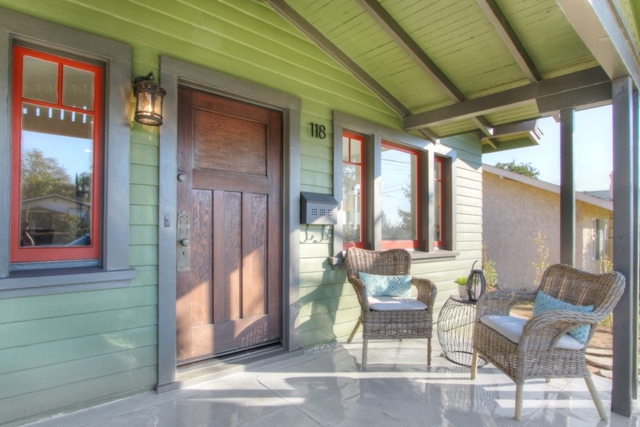 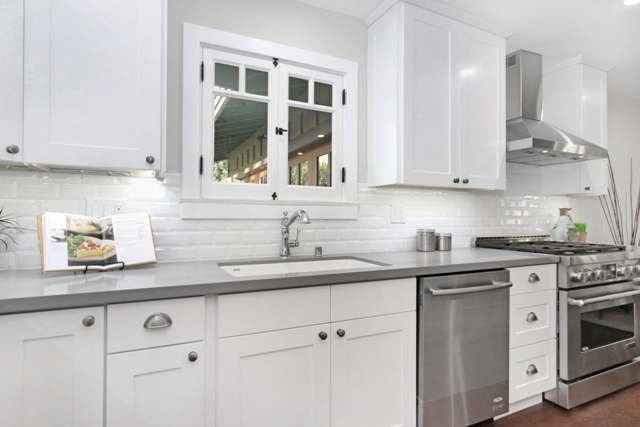 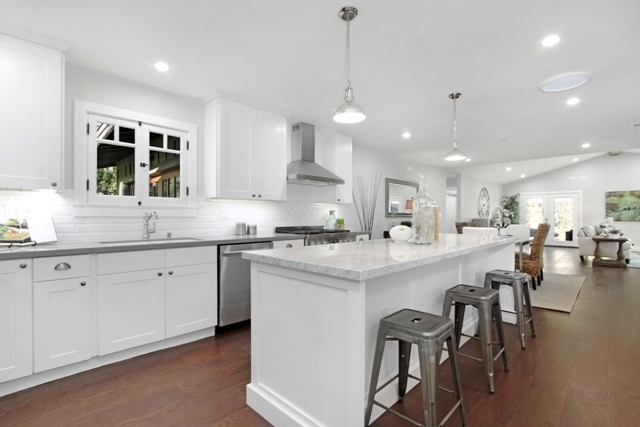 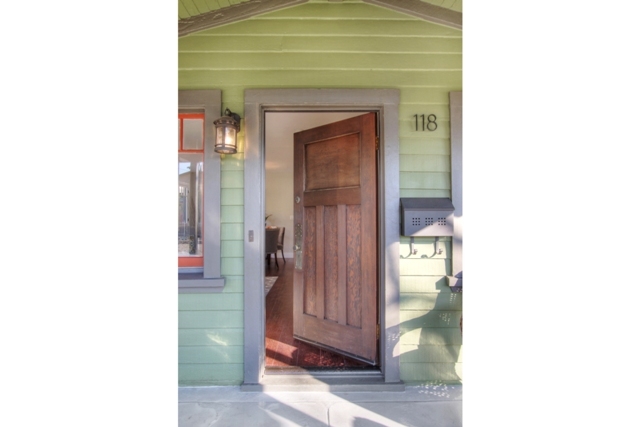 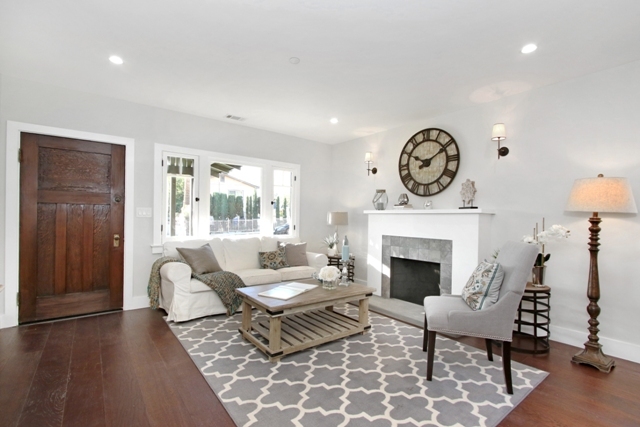 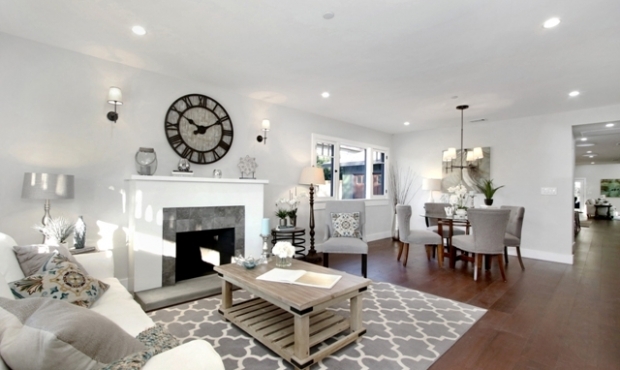 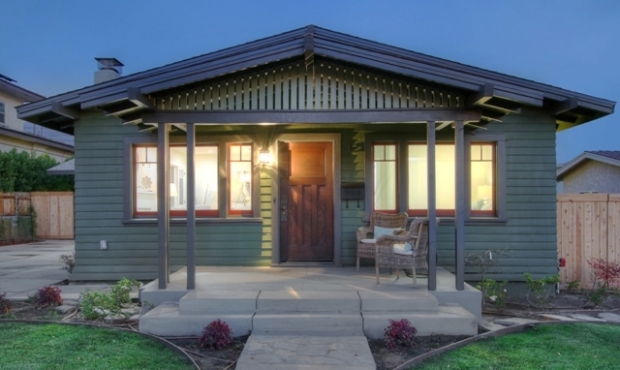 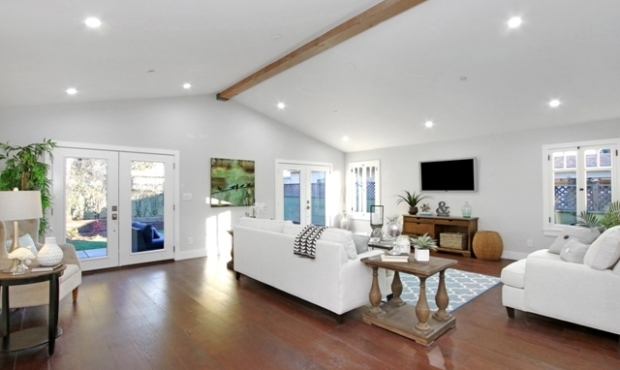 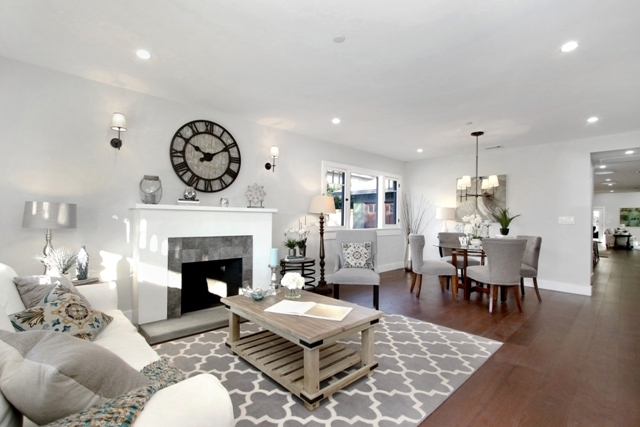 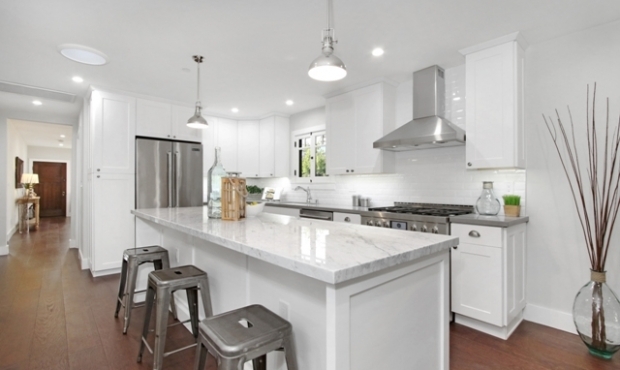 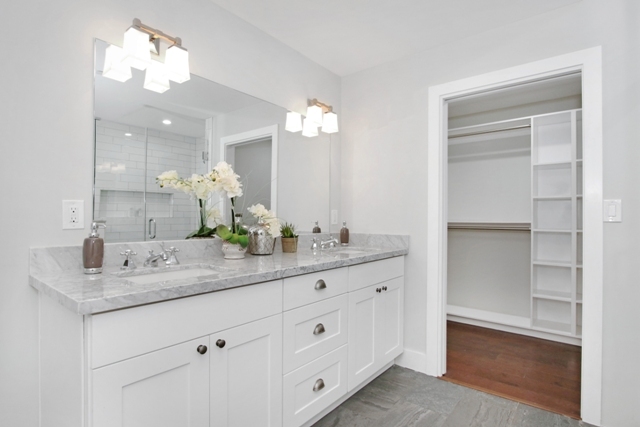 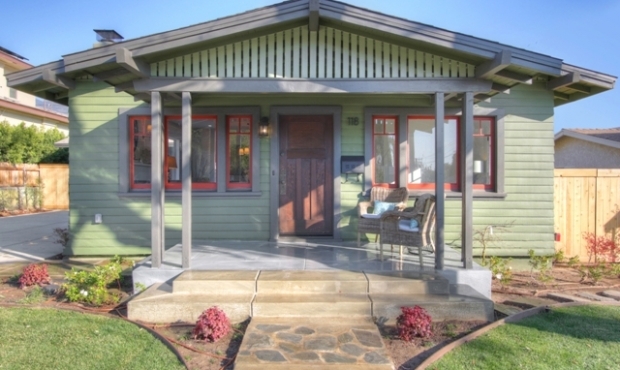 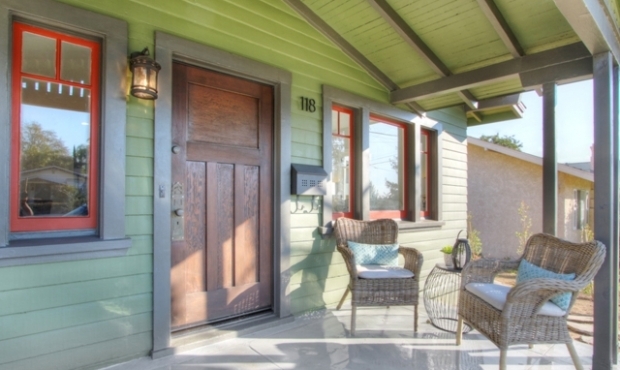 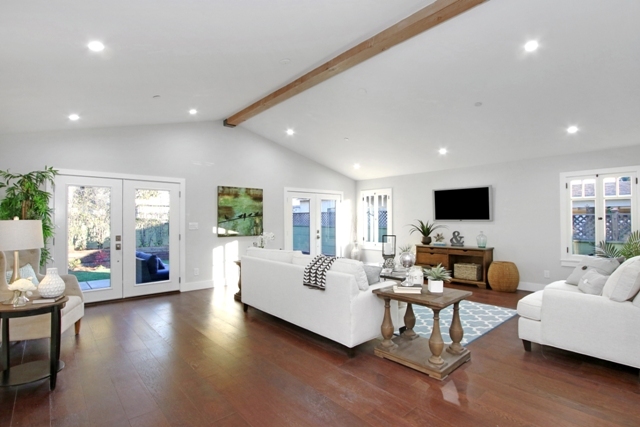 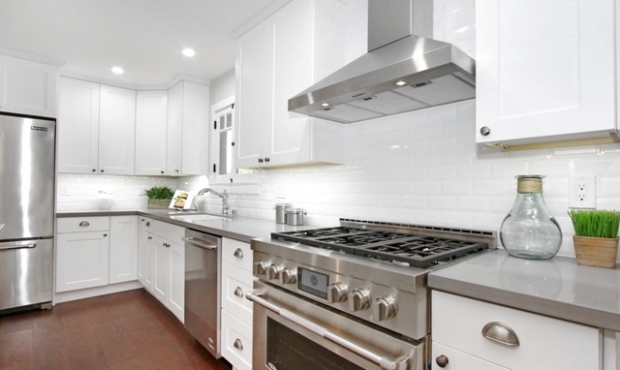 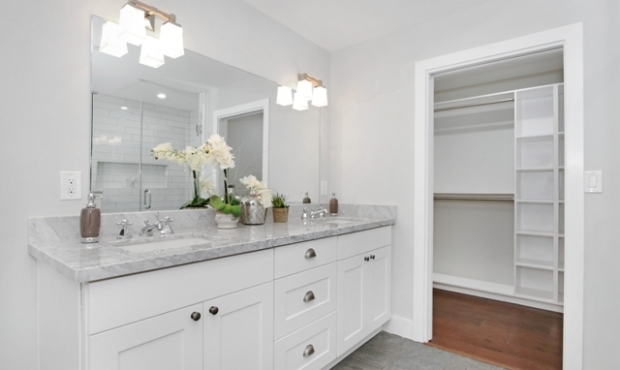 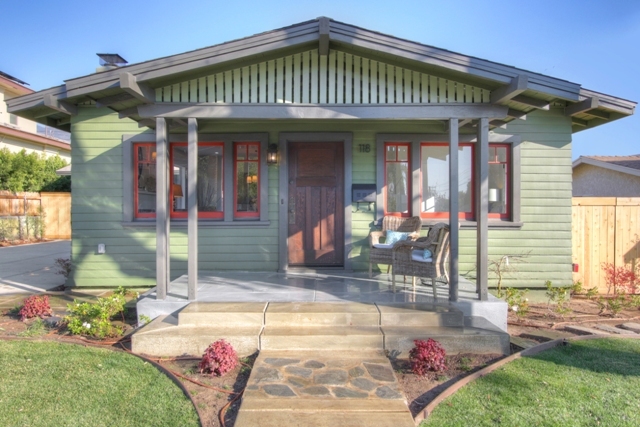 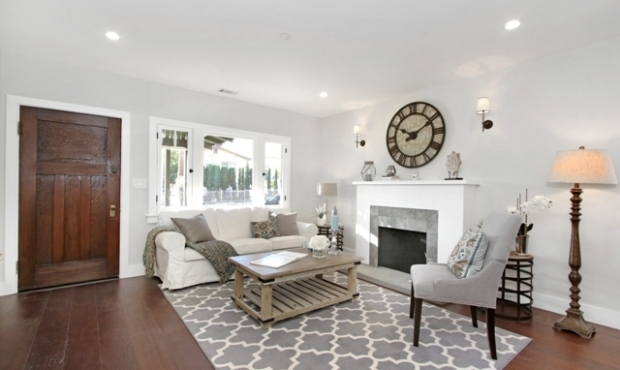 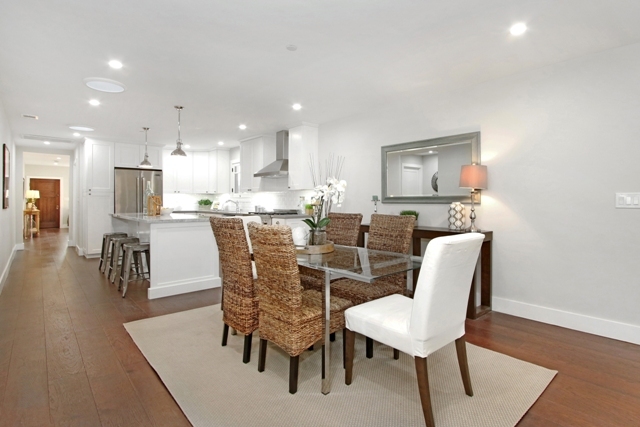 This single story Craftsman home, originally built in 1912, was completely remodeled and added onto in 2015 using the highest quality of materials and workmanship to turn it into a masterpiece! 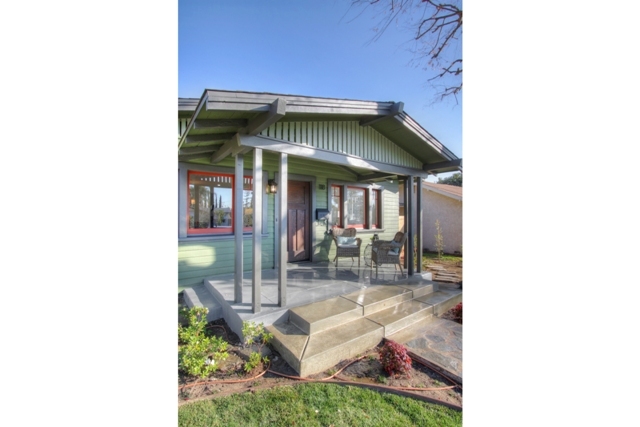 Outside, the old and new construction is seamless, with wood siding, gable vents, rafter tails and front porch. 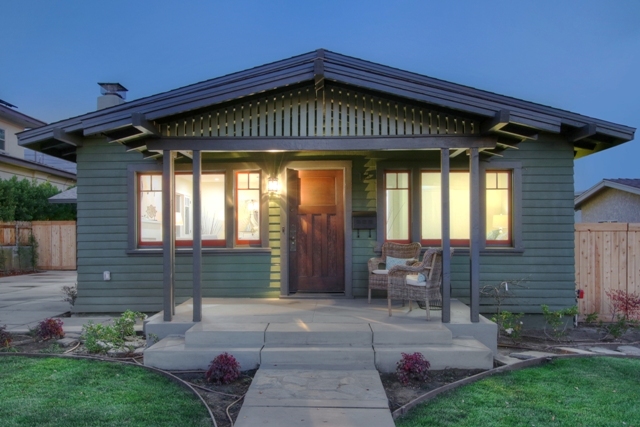 This spacious entertainer’s home includes functional upgrades while maintaining the integrity of the vintage architecture by preserving the character, color palette and some original windows. 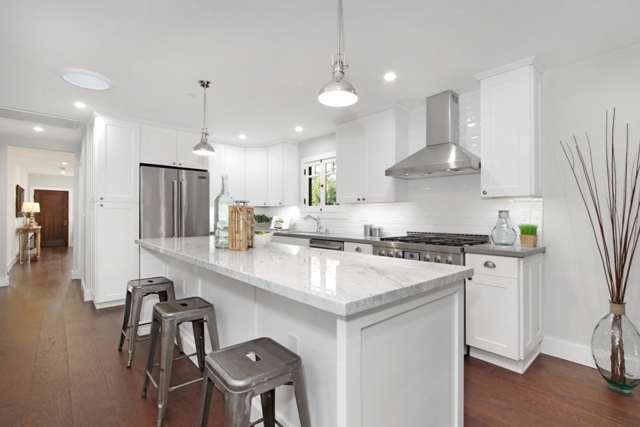 The home features an open kitchen with a custom oversized Carrera marble chef’s island/breakfast bar, top-of-the line stainless steel appliances & hood, and opens to an airy family room with vaulted beamed ceilings and double French doors. 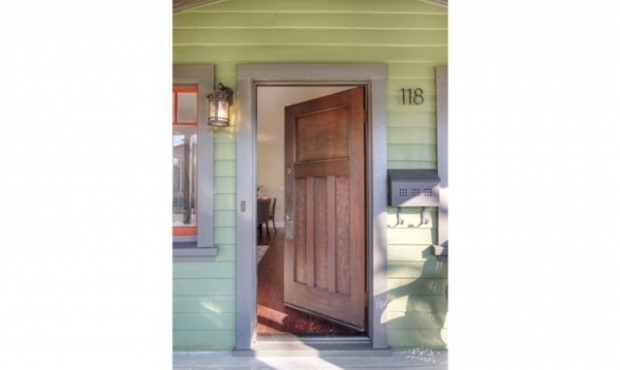 This set of doors opens to a curved patio and newly landscaped backyard, perfect for entertaining! 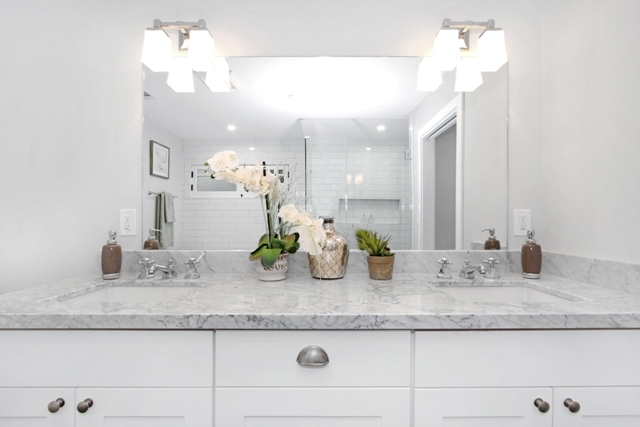 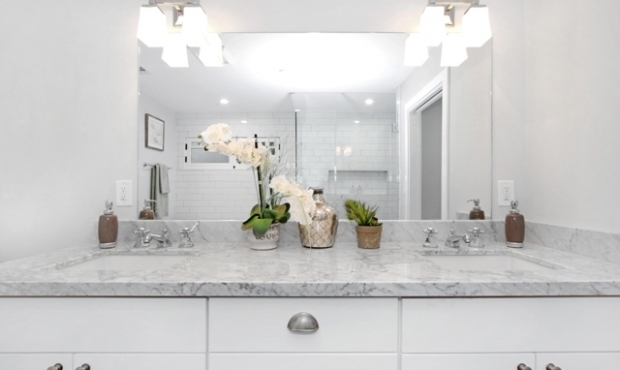 The plush, expansive master suite provides ultimate relaxation with a spa-inspired bathroom featuring marble-accents, a deep soaker tub & an oversized shower with subway tile. 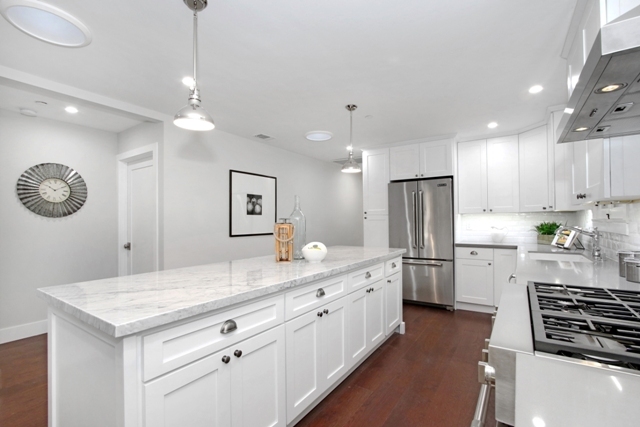 Three additional bedrooms, two more baths, recessed lighting and new wide plank Savannah Oak flooring throughout add to the charm. 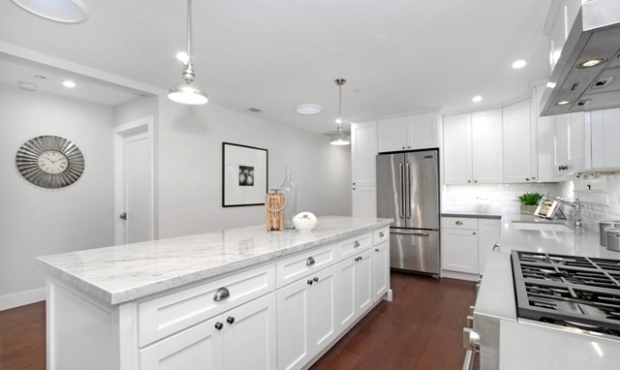 Additional amenities include ample closet space, 2-car attached garage, fireplace, and so much more in this Dossier Capital reimagined gem!